Pusha T's foot fell asleep during the Drake standing ovation. 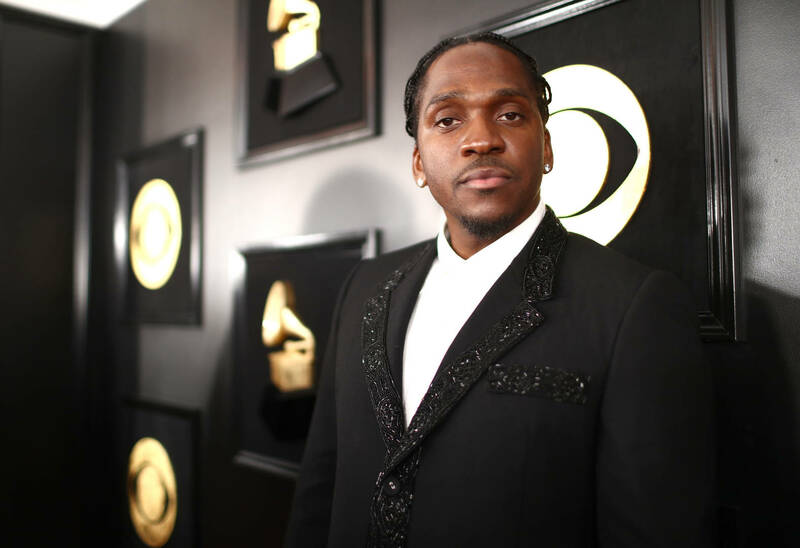 As Drake secured a Grammy for "Best Rap Song," one has to wonder what Pusha T made of the moment. The Daytona rapper was in attendance over his own nomination for "Rap Album Of The Year," and though his project was critically acclaimed, Push remained an outside favorite. Seeing as he ultimately left the ceremony empty-handed, losing out to Cardi B's Invasion Of Privacy, he was nevertheless privy to a rather interesting acceptance speech from his old pal. Naturally, the Pusha vs. Drake narrative remained a steady throughline, as it likely marked the first time they stood in each other's vicinity since the beef's vicious peak. Therefore, it was only logical that the internet would waste little time in concocting reactionary memes, having a playful laugh at Pusha's expense. One making the rounds finds King Push frozen during the "alleged" moment of Drake's victory, refusing to join the standing ovation out of sheer principle. Meanwhile, Joyner Lucas can't help but grin at the situation, a hip-hop fan to the core. In truth, it's not certain whether this was, in fact, the moment of Drake's victory. Does it even matter? The image speaks volumes. It's easy to imagine Pusha seething as his rival saunters to the stage, moments away from delivering an admittedly badass acceptance speech. The irony of the situation is that Drizzy's speech applies to Pusha as well; despite walking away sans trophy, nobody can take away Daytona's acclaim from both critic and fan alike.